Ever Considered Starting an Art Book Club? How many color theory and painting technique books do you have in your artist library? When I first started painting, I soon realized that many of us are art instruction book junkies. We are fortunate to have so many artists willing to share their knowledge and skills with us in print and video. One of the final pages for me to write for my forthcoming book, I Just Want to Paint: Mixing the Colors You Want! is the Resources page. This is a list of various art instruction books I have collected over the years and have continued to reference throughout my art career. Before I share some of these with you, writing the Resources page spurred me to reminisce as I looked upon my large stack — I think I have over thirty books just related to the subject of color — and reflect upon the important role these books have played. Because I am a self-taught artist, I was highly disciplined and would pour through each book when it was new to my library. I continue to do this today whenever I purchase a new book. Then I remembered an art book club that I participated in. 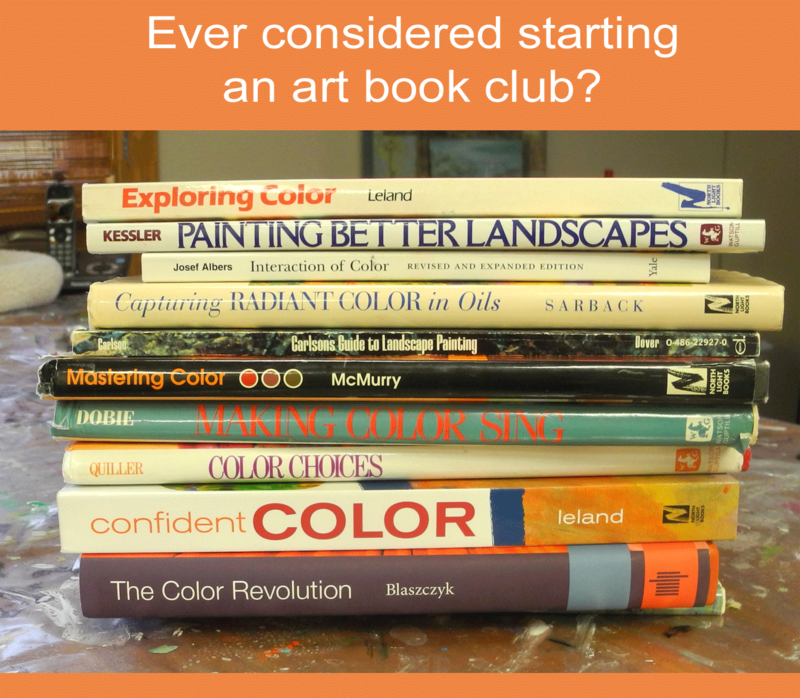 What is an art book club? Creatives are wonderful problem solvers, which is one reason why we create because it is what we love to do. When presented with a ‘problem,’ we are not likely to turn away. We use our curiosity to come up with possible solutions. My art studio is one such place where I have had to be a creative problem solver. Since we all work differently, we need different things to support our passion and our working rhythms. Often storage is the most challenging. In this post, I want to share some of the everyday items used in kitchen and bathrooms that I use in my studio. What are Some Tips for Your Art Studio? 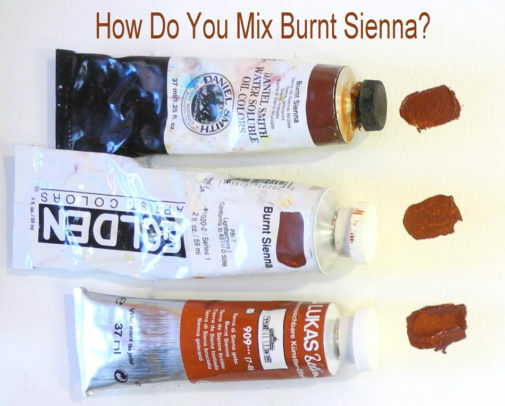 Have you ever considered eliminating burnt sienna from your palette? After all, it’s probably one of the most popular earth toned colors found on painters’ palettes. 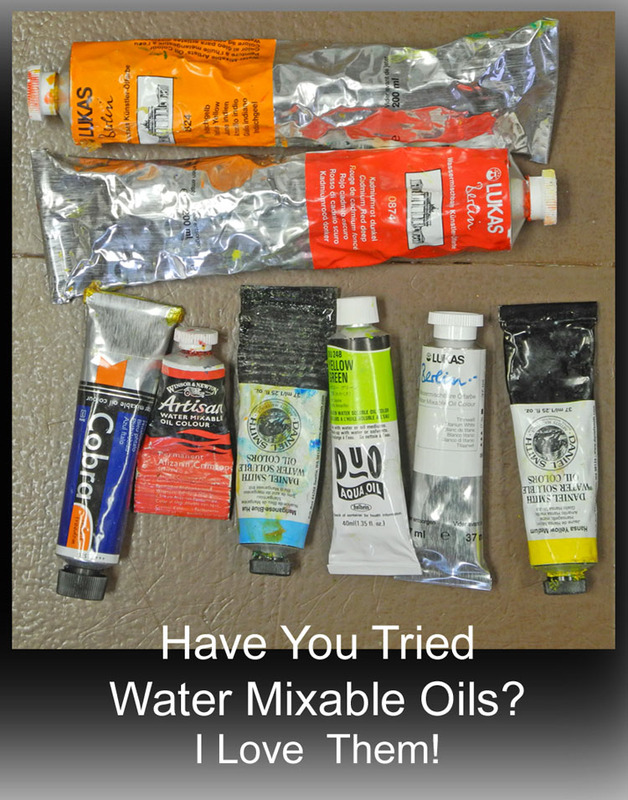 I know it is one of my favorites and for most of my painting career, I always squirted it out of a tube. How Do You Interpret Abstract Art? 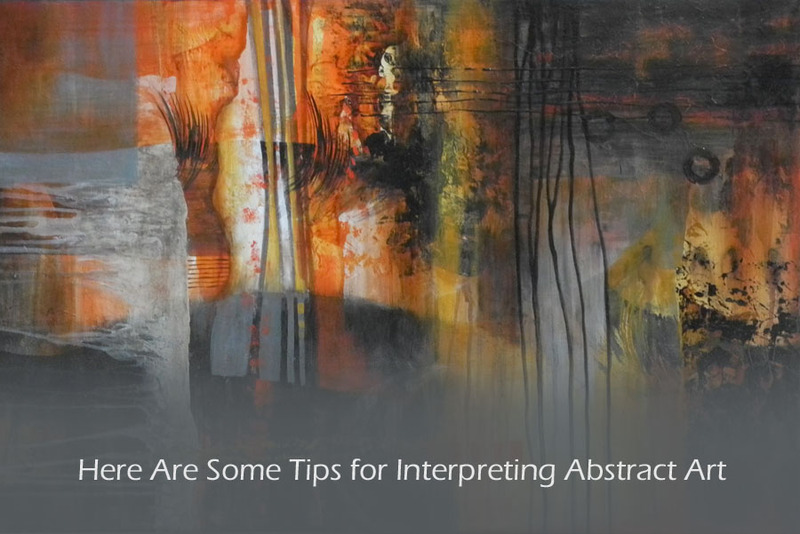 Have you ever wondered how to interpret abstract art? In my humble opinion, if an abstract painting is compelling, it will have something that retains your attention, draws you in, keeps you looking and generates an emotional and/or intellectual response. Before I continue, I want to stop and define what I mean by abstract art. I am referring to two-dimensional paintings that do not contain any recognizable subject. To be more accurate, I am discussing about what is called non-objective art. Non-objective art is clunky to say and write, so bear with me as I use the easier phrase of ‘abstract art.’ My apologies if I offend anyone.